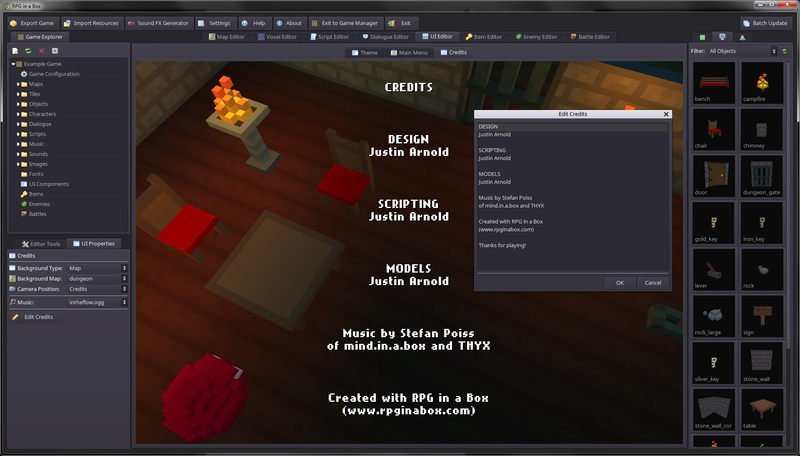 One of the main new features that I have been working on recently is the Credits Editor and its related functionality. Using the Credits Editor, you can define a list of items that will be scrolled across the screen whenever the credits are shown for your game. The current options for the background of the credits are similar to the Main Menu’s options – you can select a map view using any of the map’s defined camera positions or a solid color. If you have specified some text for your credits, a “Credits” menu item will be shown in the Main Menu. You can also trigger the credits to be shown using the new “Show Credits” scripting function. This will provide a way to gracefully end your game (as previously there was no way to do so). Here is a preview of the credits that I created for my Example Game! 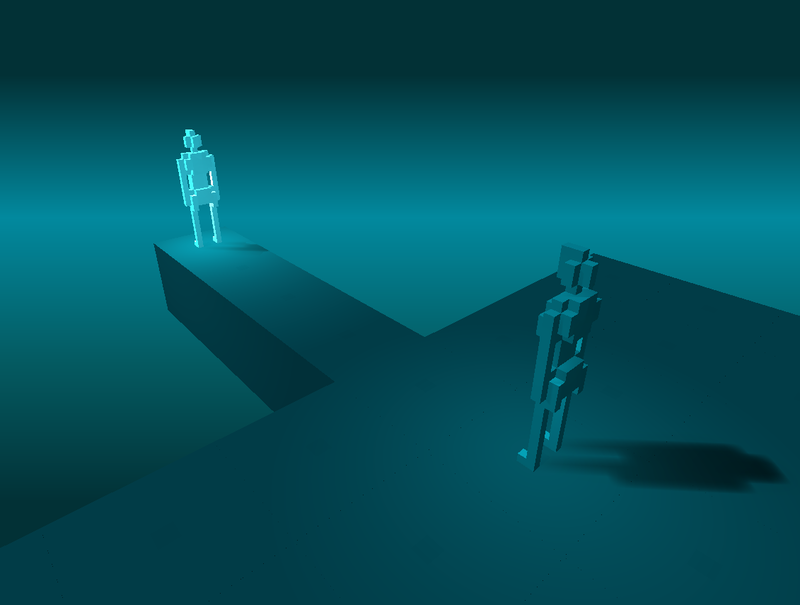 The Egg is a short atmospheric game about the meaning of life, adapted from Andy Weir‘s short story, with permission of the author. It tries to be as close to the original material as possible, while offering an immersive interactive experience, with minimal 3D visuals and a dynamic ambient soundtrack. I’d definitely recommend checking it out! The Egg is available for Windows, Linux, and Mac. I loved the style of the sprites, so I thought it would be cool to translate them into voxels. For the few that I’ve done so far, they have translated surprisingly well! I quickly put together some dungeon rooms to test them out. 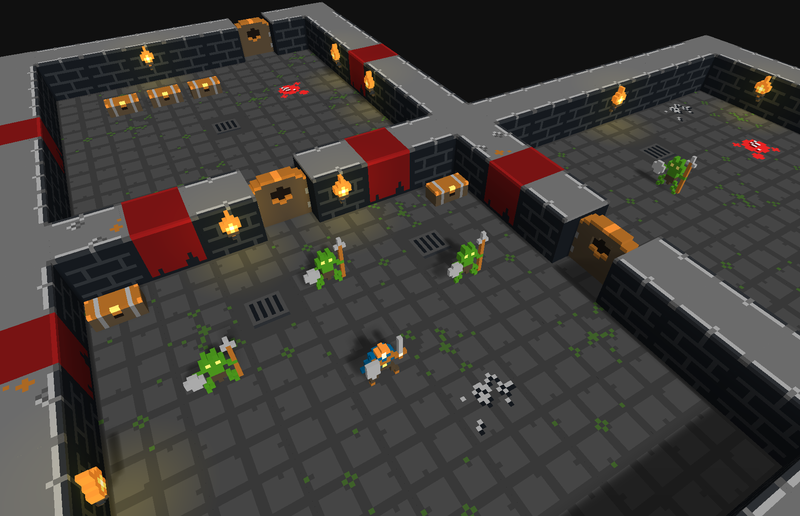 I am planning to gradually go through and create voxel models from more of the sprites as I get the time. I think they’ll make a great demo game for RPG in a Box. 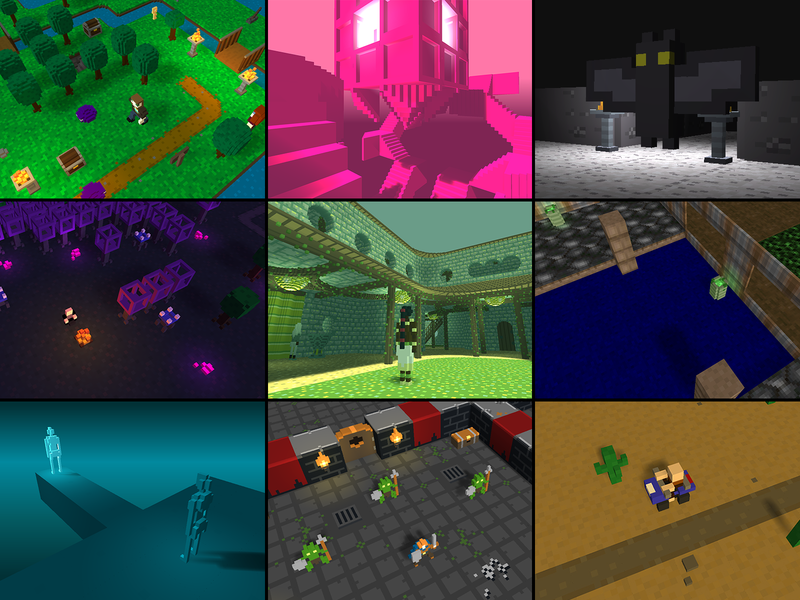 I recently threw together another quick collage of some games/demos made with RPG in a Box to help show the diverse range of styles that can be created with the engine. The first row contains screenshots of the official Example Game, A Road to Awe by lectronice, and Vloxelworld by Ofihombre. The second row contains screenshots of Seeker 17 (a game I am planning to make), Nékromegà by lectronice, and my DOOM E1M1 test map. And finally, the third row contains screenshots of The Egg by lectronice, my Tiny Dungeon conversion project as mentioned earlier, and a small desert-themed game that I created for some tutorials. I’ve also begun to do some brainstorming about combat in RPG in a Box. Some of the games that I grew up playing will serve as inspirations, in particular Shining Force, Ultima, Shining in the Darkness, and Might & Magic. 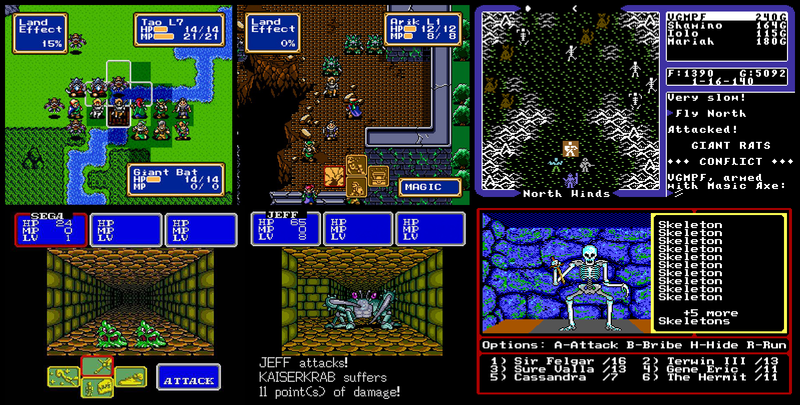 I plan to eventually have multiple combat styles available to select from, but to start with I will be focusing on the turn-based tactical style similar to Shining Force. More to come on combat in the near future!